Here is a tailor-made website for all those who are looking forward to explore the vivacity of ‘God’s own country’ - Kerala! The splendid state of Kerala is dotted with grasslands, tea & coffee plantations, beaches, evergreens, backwaters, memorials and numerous other cultural attractions. The state has been bestowed with one of the most exotic geographical features in the whole country. Kerala is truly a geographical wonder! Backed by years of experience, we specialize in offering tailor-made Kerala tour packages. Our versatile tour packages are backed by extensive expertise. They cover all significant venues of the state and they have been specially churned to suit all categories of visitors ranging from first-timers to regular-ones. 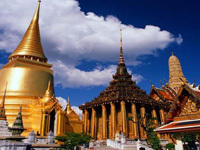 The budget travel packages offered by us offer myriad duration options ranging from 1 night stay to 10 nights stay. The packages are flexible in the sense that the visitors have a variety of options to choose from. Fundamentally, our Kerala tour packages include a visit to misty Munnar Mountains, beaches of Varkala and Kovalam, Kochi, Ayurvedic health centers, paddy fields, tea plantations, Kovalam beach, backwaters of Allepey and much more. Certain packages also include a visit to Kanyakumari which is the southernmost tip of the mainland India. 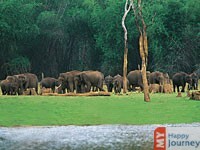 The state offers tremendous opportunities for those who want to explore the rich wildlife of Kerala. 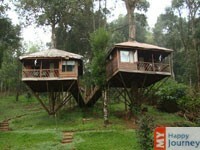 There are numerous wildlife sanctuaries and national parks to visit in Kerala. For those who have a special thing for thrill, Kerala stocks a fortune of adventure. Boating, trekking and similar adventure sports are in full-swing in Kerala. Our ‘Honeymoon Packages’ are especially designed to cover exotic hotspots of Kerala. The packages incorporate such thrill and adventure that the couples take a fortune of memories back home. Kerala boasts of one of the finest classical art forms, exotic cuisines, cultural marvels, colorful festivals, Ayurveda centers and natural bounties. Take a break from your monotonous routine to experience the serene environs and multi-hued theme of Kerala. Extend your tryst with this marvelous abode of cultural and natural wealth. 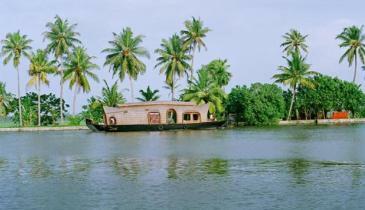 Enchanting Kerala beckons you! Pack your bags and get ready to explore the magnetic charm of Kerala! Kerala is a perfect destination for holidays, as it is a land surrounded with nature from all over and is famous for its remarkable resorts at the water bodies and backwaters with incomparable hospitality. Major destinations that pull the tourists from all over the world, include Trivandrum, Kovalam, Wayanad, Kochi, Thekkady and Munnar; above and beyond these are also other very well admired places perfect for a holiday, like Palakaad, Kollam and Allepey. People keen to revisit the scenic beauty can reach Kerala by various modes of transport, such as taxis, buses and trains, which are available from the adjoining cities like Chennai and Bangalore. Based on individual preference you can choose any mode of transportation as it takes 8 to 9 hours by taxis and around 12 hours by bus from Chennai and Bangalore. It is recommended that you choose tour packages that would be customized as per your requirement of place at a very affordable price.